Nadine Labaki's humanist drama is one of the best films in years, and an audience pleaser too. Last Friday, at the 2019 edition of the International Film Festival Rotterdam, the audience award went to a film which managed to score an average of 4.8 out of 5. 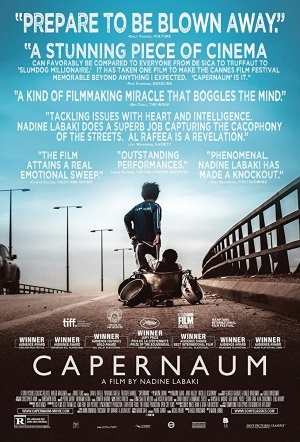 That film was writer-director Nadine Labaki's Capernaum, and while it wasn't on my to-see list before, that score made me curious enough to check it out. And I'm glad I did, because the film is a stunning achievement, and remarkably watchable in spite of its leaden subject matter. The term "capernaum" can mean several things, none of them good, ranging from ruin, to chaos, to hell. It's a fitting description for the life 12-year-old Zain finds himself in. An undocumented child living in Beirut, his days are filled with chores and survival, constantly chided by his parents while he tries to keep himself and his seven siblings alive and well. What follows shows how Zain ended up in that situation, and a harrowing tale it is. Those expecting misery can rest assured that they will see plenty of it, but director Nadine Labaki manages to also put in moments of beauty and even hope. I don't want to spoil much of what happens, but there is an extended sequence where Zain needs to take care of a friend's toddler, keeping him safe and fed, and the exhaustive struggle to do so is a thriller in its own right. Zain is quick-witted and carries himself with a terminator-like resilience and tenacity, and at several points during the film you just want to reach out to him and... I don't know... give the guy a medal or something. It helps that the acting by the children in Capernaum is nothing short of fantastic. Nadine Labaki shot over 500 hours of footage, often using real street children, illegal aliens and refugees as her actors. Zain Al Rafeea, the boy playing Zain, is actually a Syrian refugee. Several of the people seen in the film, including the toddler, have since been arrested and deported from Lebanon. Even the judge in court is played by a real judge. Labaki spent years doing research before the shoot started, and by carefully avoiding pointing fingers at a specific agency, she managed to get an unusual amount of collaboration, getting footage shot in places rarely seen. And she spent a full two years after shooting ended on editing, to get the 12-hour workprint whittled down to its current feature length of 120 minutes. But what an end result it is. The film is a magnificent gut-punch, emotional rather than sentimental, and whenever you get the feeling a truth gets stretched, you realize it's done not to exaggerate the suffering, but to soften the blow for the viewer somewhat. You also realize that in real life, things are probably even worse. 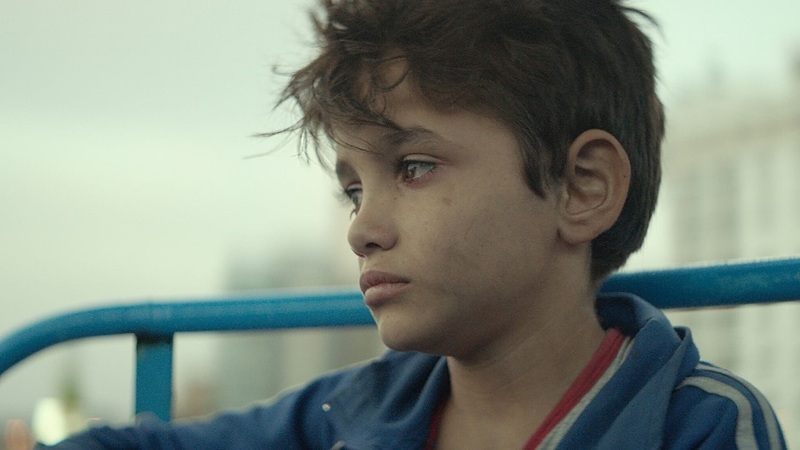 Since its world premiere in Cannes, where it won the Special Jury-prize, Capernaum has been on a deserved victory lap around the world, and is currently playing in the Netherlands and in limited release in the United States. It's also been nominated for the Academy Award for best non-English film (which it has a mighty good chance to win, I hasten to add...). But go see it for yourself. Capernaum is a highlight of recent cinema.